6 Wonderful Free Kindle History Books for Saturday! 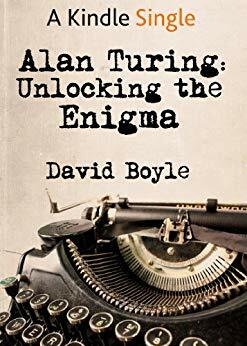 ***(Free for Kindle Unlimited) Alan Turing: Unlocking the Enigma (Deal, Not Free) by David Boyle. Price: $2.99. Genre: History Deal, Sponsor, Non Fiction, The Man Behind the Science, Alan Mathison Turing, Father of Artificial Intelligence. Rated: 4 stars on 335 Reviews. 114 pages. ASIN: B07B5PRZDD. Get the paperback version here, please. *NO CONDITION IS PERMANENT: A COLLECTION OF MEMORIES by Ambassador Delano Lewis, Brian Lewis. Price: $9.99. Genre: Biographies & Memoirs Deal, Sponsor, History, Unbelievable Life of Ambassador Delano Lewis. Rated: 5 stars on 1 Reviews. 125 pages. ASIN: B07DWLRWHJ. Get the paperback Version here, please. *There Were No Cats in America: “An American Tail” Enters Trump’s America by Adam M. DeSimone. Price: Free. Genre: History, Americas, United States, Immigration. Rated: 5 stars on 4 Reviews. 51 pages. ASIN: B0759SKJTG. *Authentic Narrative of the Death of Lord Nelson by William Beatty. Price: Free. Genre: History, Europe, England. Rated: 5 stars on 4 Reviews. 44 pages. ASIN: B00849S3AS. *An Onlooker in France 1917-1919 by William Orpen. Price: Free. Genre: History, Military, World War I. Rated: 5 stars on 3 Reviews. 126 pages. ASIN: B004UJNZ4U. Abraham Lincoln The People’s Leader in the Struggle for National Existence by George Haven Putnam, Abraham Lincoln. Price: Free. Genre: History, Americas, United States, Civil War, Military History. Rated: 4 stars on 4 Reviews. 310 pages. ASIN: B00AQMBRKY. Posted on July 15, 2018 Author KibetCategories Free Kindle History Books, HIstorical, HIstory, medieval, Military, WarLeave a comment on 6 Wonderful Free Kindle History Books for Saturday! 5 Fantastic Free Kindle History Books for Friday! Posted on July 1, 2017 Author KibetCategories Free Kindle History Books, HIstorical, HIstory, medieval, Military, WarLeave a comment on 5 Fantastic Free Kindle History Books for Friday! 8 Great Free Kindle History Books for Wednesday! I thoroughly enjoyed reading this book! *Refuge Planet: For Sale by Owner – Part One of Two – First Contact and Abduction: An epic thriller that will keep you guessing. 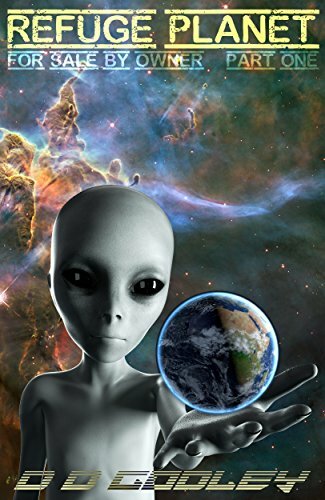 A creative, fast-paced alien encounter and UFO disclosure series. (Deal, Not Free) by D D Godley. Price: $0.99. Genre: Historical Fiction Book Deal, Sponsor, Alternative History. Rated: 5 stars on 5 Reviews. 159 pages. ASIN: B06XHTPK88. *Conductor: The Heart & Soul of the Railroad (Deal, Not Free) by Robert L. Bryan. Price: $0.99. Genre: History Book Deal, Sponsor, Non Fiction, Rail Road History. Rated: 5 stars on 10 Reviews. 115 pages. ASIN: B01N5QNT6Q. *Threshold Of Pain (Deal, Not Free) by Vera Meisels. Price: $0.99. Genre: Non Fiction Book Deal, Sponsor, History, 1936, Holocaust, Biographical Fiction. Rated: 5 stars on 1 Reviews. 236 pages. ASIN: B071992ZDW. 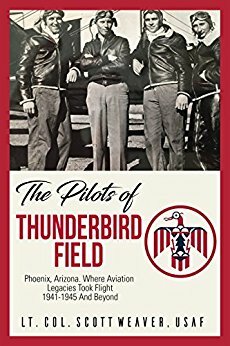 *The Pilots of Thunderbird Field: Where Aviation Legacies Took Flight. 1941-1945 and Beyond. (Deal, Not Free) by Scott Weaver. Price: $0.99. Genre: History Book Deal, Sponsor, War, Aviation. Rated: 4.9 stars on 21 Reviews. 179 pages. ASIN: B06Y1899S6. Please leave a Review on Kindle Store. Scott Weaver: For every comment made, Good, Bad or Indifferent, I will proudly donate $1 to the Folds of Honor Scholarship fund. The Women of the Confederacy by John Levi Underwood. Price: Free. Genre: Biographies & Memoirs, History, Women, Revolution & Founding, World, Nonfiction. Rated: 4.4 stars on 7 Reviews. 329 pages. ASIN: B005HKCUF6. Rev. Joseph Cadwallader by Brian Cadwallader. Price: Free. Genre: Biographies & Memoirs, Leaders & Notable People, Religious, History, Modern (16th-21st Centuries), 19th Century. Rated: 4.4 stars on 7 Reviews. 73 pages. ASIN: B01M112PVX. The Ruins, or, Meditation on the Revolutions of Empires and the Law of Nature by C. F. (Constantin-Fran? ?ois) Volney. Price: Not set. Genre: History, Ancient Civilisation, Meditation, Greece, African-American Studies, Religion & Spirituality, Creativity. Rated: 4.3 stars on 21 Reviews. 248 pages. ASIN: B008476VZE. Escaped Killer: True Story of Serial Killer Allan Legere by RJ Parker. Price: Free. Genre: Biographies & Memoirs, True Crime, Murder & Mayhem, Criminology, History, Americas, Canada, Province & Local. Rated: 4.3 stars on 19 Reviews. 78 pages. ASIN: B01N17VP14. Posted on June 22, 2017 Author KibetCategories Free Kindle History Books, HIstorical, HIstory, medieval, Military, WarLeave a comment on 8 Great Free Kindle History Books for Wednesday!